Two American aid workers treated at a Georgia hospital for three weeks after becoming infected with the deadly Ebola virus have recovered and now pose no health risk, the Centers for Disease Control and Prevention says. Dr. Kent Brantly, 33, called Thursday a "miraculous day" in a brief statement made to reporters before leaving to spend time with his family at an undisclosed location. "I am thrilled to be alive, to be well, and to be reunited with my family. As a medical missionary I never imagined myself in this position," Brantly said. Brantly and his wife stood holding hands before he read from a written statement. He choked up several times while thanking his aid group, North Carolina-based Samaritan's Purse, and the Emory medical team standing behind them. Brantly said the hospital where he was working got its first Ebola patient in June, and then the number of patients increased steadily. Health workers took precautions, Brantly said, but on July 23, "I woke up feeling under the weather, and then my life took an unexpected turn as I was diagnosed with Ebola virus disease." He had taken his wife and children to the airport three days earlier. Meanwhile, he said, he got sicker and weaker by the day. Brantly was flown out of Liberia on Aug. 2, and 59-year-old aid worker Nancy Writebol followed Aug. 5. After speaking, the couple hugged the medical staff and joked with them. Several blinked back tears, then cheered and applauded as Brantly and his wife made their way from the room. Officials said Writebol was discharged Tuesday and requested privacy following her recovery. Writebol's husband, David, said in a statement that Nancy "was greatly encouraged knowing that there were so many people around the world lifting prayers to God for her return to health. Her departure from the hospital, free of the disease, is powerful testimony to God's sustaining grace in time of need." The CDC said Thursday there is no public health concern with the release of the patients and that they no longer have Ebola in their blood. Further, there are no restrictions to the patients' activities of daily living. Fort Worth Doctor in Africa Tests Positive for EbolaFort Worth Doctor in Africa Tests Positive for EbolaAn Fort Worth doctor working with Ebola patients in Liberia has tested positive for the deadly virus, an aid organization said Saturday. 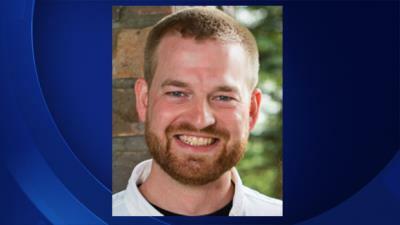 Dr. Kent Brantly tested positive for the disease and was being treated at a hospital in Monrovia, Liberia. "CDC is heartened to learn that the two U.S. citizens treated at Emory University Hospital for Ebola have been discharged from the hospital and can rejoin their families and communities," the CDC said in a statement. The president of Samaritan's Purse, the charity Brantly was volunteering with when he contracted Ebola, said the organization was celebrating Brantly's "recovery from Ebola and release from the hospital"
His release is an extraordinary development in a human drama that has all the makings for a Hollywood movie. 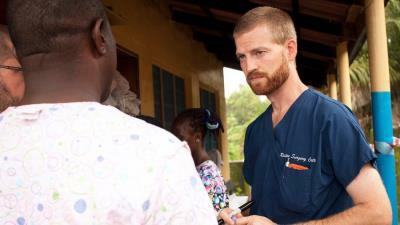 Brantly was helping treat Ebola victims in Liberia when he somehow contracted the often-fatal virus last month. Doctors later described his condition as "grave." Doctor Fighting Ebola Given Experimental DrugDoctor Fighting Ebola Given Experimental DrugDr. Kent Brantly, of Fort Worth, has been given second doses of an experimental antibody drug designed to treat the deadly Ebola virus. Near death, Brantly was given an experimental medicine that had never before been tested on humans. He then showed a remarkable and almost sudden improvement, doctors said. On Aug. 2, Brantly was airlifted inside an airtight plastic pod to Georgia military base and then by ground ambulance to Emory University Hospital in Atlanta. Dressed in a full protective suit, he surprised everyone by walking upright without a stretcher or wheelchair from the ambulance into the hospital where he has since remained in isolation, able to see his wife through a glass wall.